Have you ever wondered what it would be like to visit the holy sites of Israel? To walk where Jesus once walked, and to see the very places where He performed the miracles we read about in the Bible? 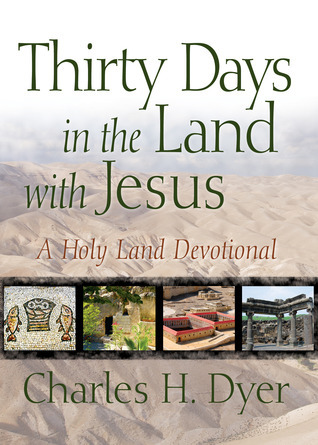 Thirty Days In The Land With Jesus is a 30 day devotional that digs deeply into the Word of God by exploring the places and people we read about in the New Testament. The locations in the scriptures will come alive to you as never before as Dyer vividly describes the sights, sounds, and smells of some of the most significant areas in Israel in the days of Jesus. Offering wonderful insight into the traditions and culture of those days, you will gain a deeper understanding of the significance of the miracles and works of Jesus Christ during his ministry in the land. It is amazing how much we can miss out on when we read the scriptures from a westernized point of view. Dyer brings us back to the place where it all began, exploring it all from the proper cultural perspective during the life and times of Jesus. A real eye-opener, Thirty Days In The Land is a treasure trove of scriptural insight- packed full of great nuggets of information and facts that give us a deeper understanding of the Word of God. In addition, each day (chapter) ends with some final thoughts and practical life applications that we can learn from the scriptures, including several invitations to receive Christ as your own personal Lord and Savior. 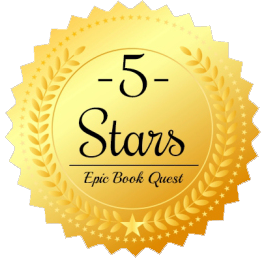 I loved exploring and reading about places like Bethlehem, Jerusalem, Nazareth, Samaria, the sea of Galilee, Capernaum, Caesarea Philippi, and more- imagining what it would be like to be present during the feeding of the 5,000, or walking the road to Emmaus with Jesus after his resurrection, alongside the two apostles. This fantastic devotional will inspire you to delve more deeply into God’s word, and is perfect for individual or group study. If you can’t make the trip to Israel and take a tour yourself, this book is the next best thing! I received a free copy of this book from Moody Publishers Blogger Review Program in exchange for an honest review. Charles H. Dyer is an Old Testament scholar as well as an authority on Middle Eastern history and geography. A licensed tour guide to Israel, he has traveled extensively throughout the Middle East over the past 25 years, leading over 70 different trips throughout the region to countries including Israel, Jordan, Egypt, Greece, and Turkey. He twice visited Iraq as an official invited guest of Saddam Hussein’s government. When he is not working, traveling to the Middle East, or speaking, Charlie enjoys spending his time writing, reading, and golfing. He is a devoted (some would say fanatical) Macintosh computer user, and he collects antiquities—especially oil lamps from biblical times. Charlie and his wife, Kathy, have been married for over 33 years, and they have two grown children—Ben and Becky. Becky and her husband are both graduates of Moody.